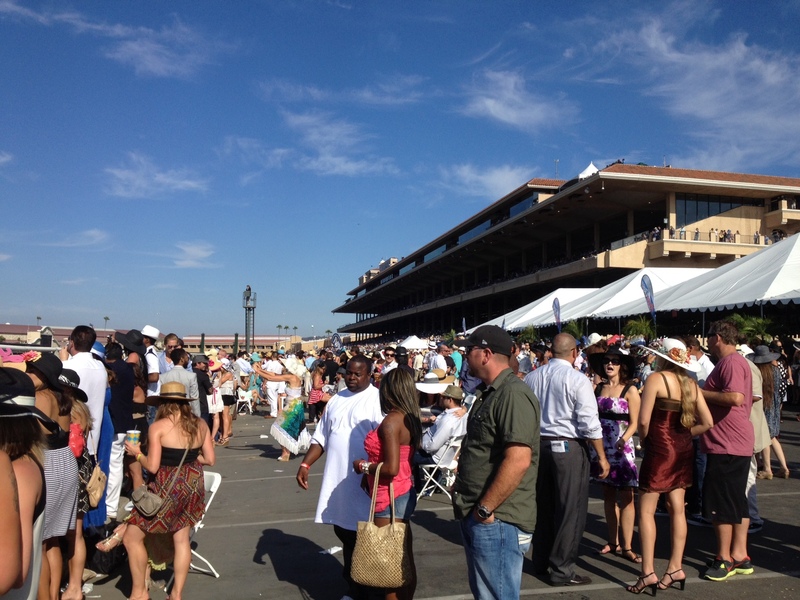 Opening Day at Del Mar | how 'bout some cake? I’ve loved horses for as long as I can remember. My teenage years pretty much revolved around riding my horse in rodeos all over the Southeast. 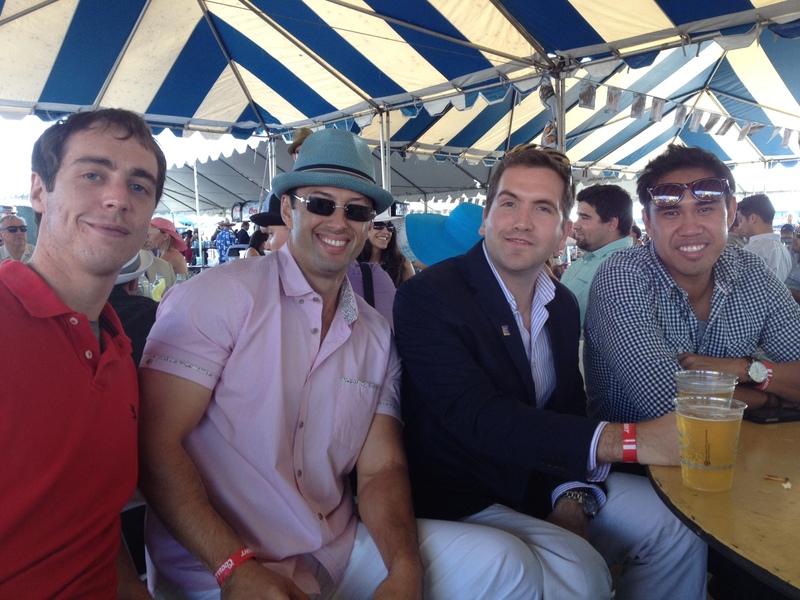 And it’s always been a dream of mine to go to the Kentucky Derby. 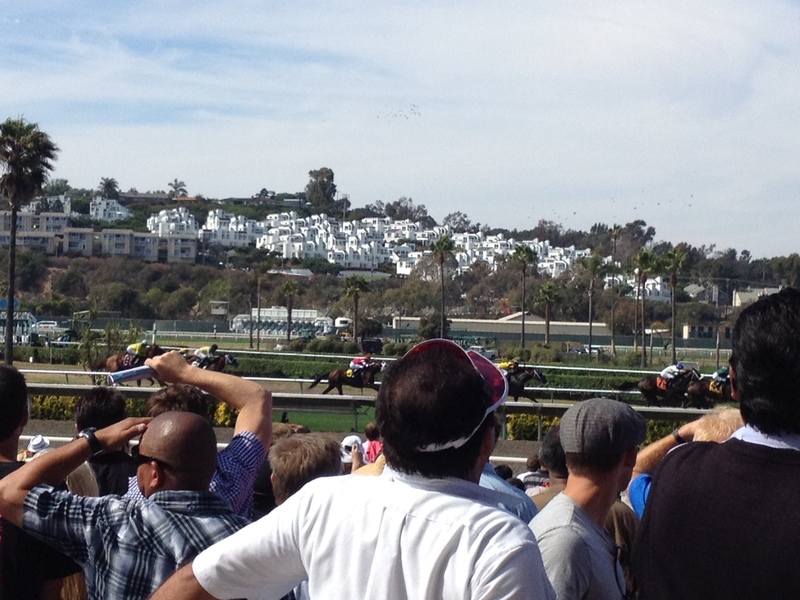 So far that opportunity hasn’t come up, but when our friends suggested a trip to Opening Day at Del Mar last week I jumped at the opportunity. We scurried up to Del Mar as soon as I finished work and met up with our friends, who had taken a party bus up earlier. 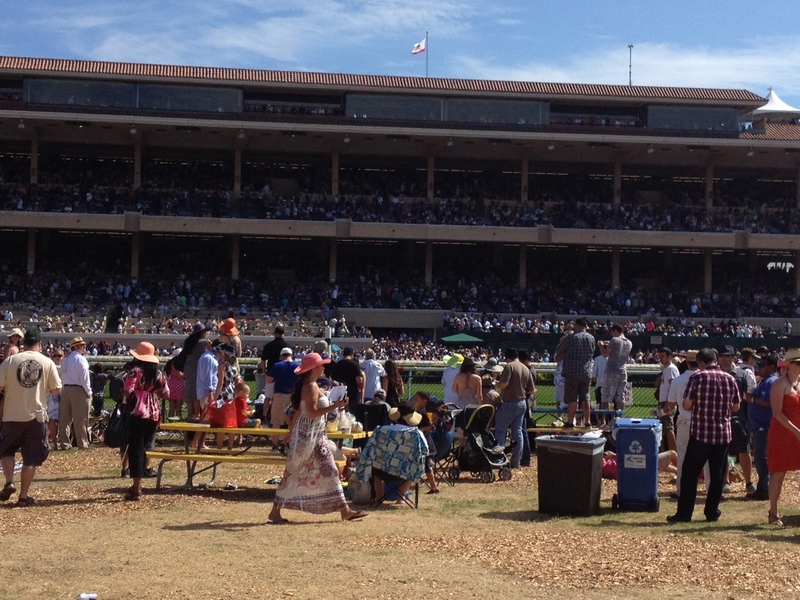 Soon we were all placing bets, toasting beers, and watching the ponies run. 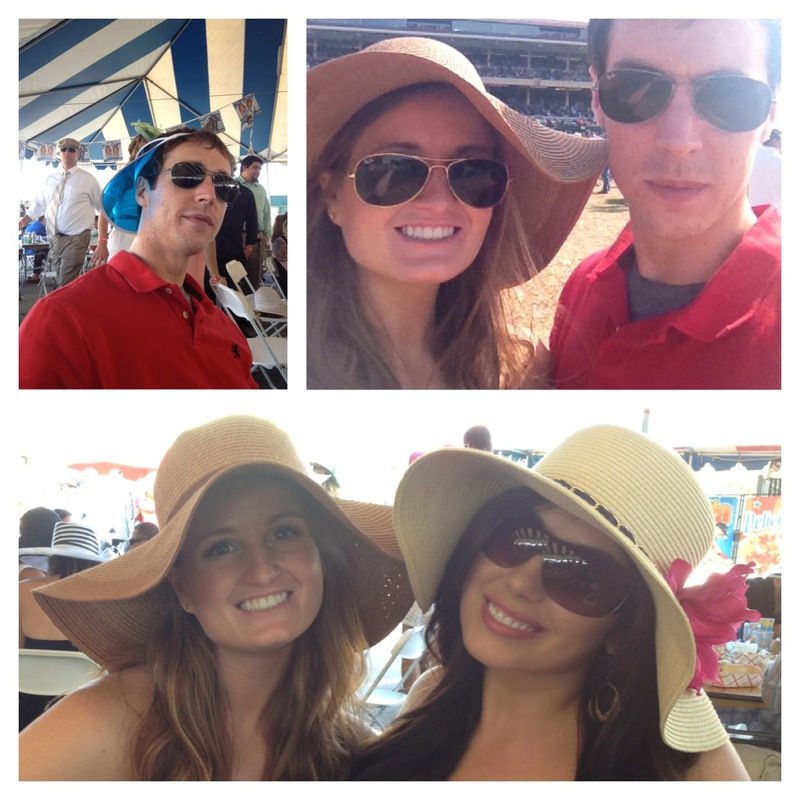 We weren’t big winners (my horse scratched before the race) but we had a lot of fun. I can’t wait to go back for another race. They run Tuesday-Sunday for the next two months or so, starting at 2 PM. 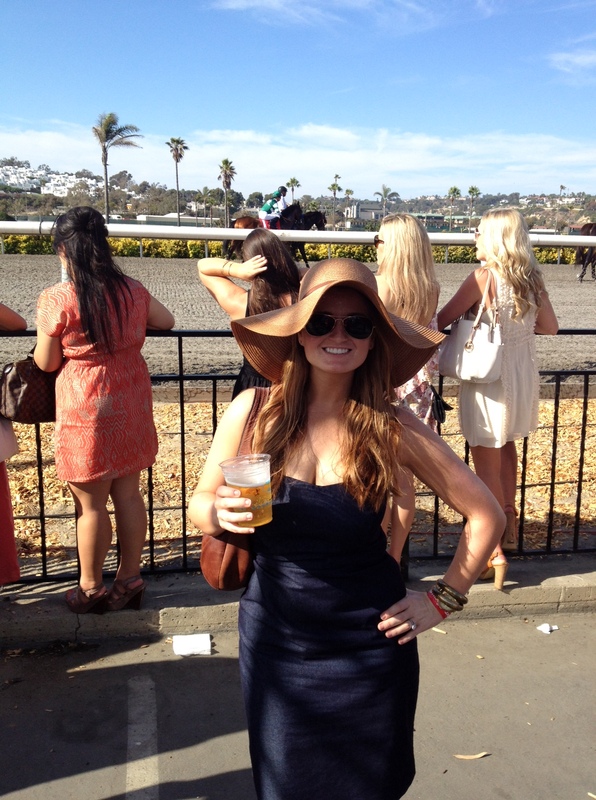 This entry was posted in Travel and tagged Del Mar, Del Mar Horse Races, Del Mar Opening Day, Del Mar Opening Day 2012, Racetrack. Bookmark the permalink. This looks so fun! 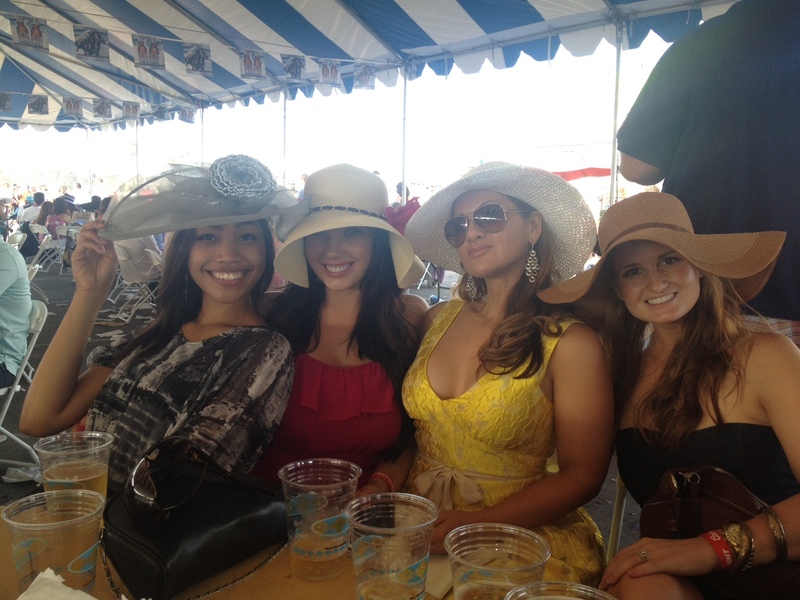 I’ve never been to a horse race before but not I definitely want to go–if only to wear a cute hat and dress! Looks like fun! 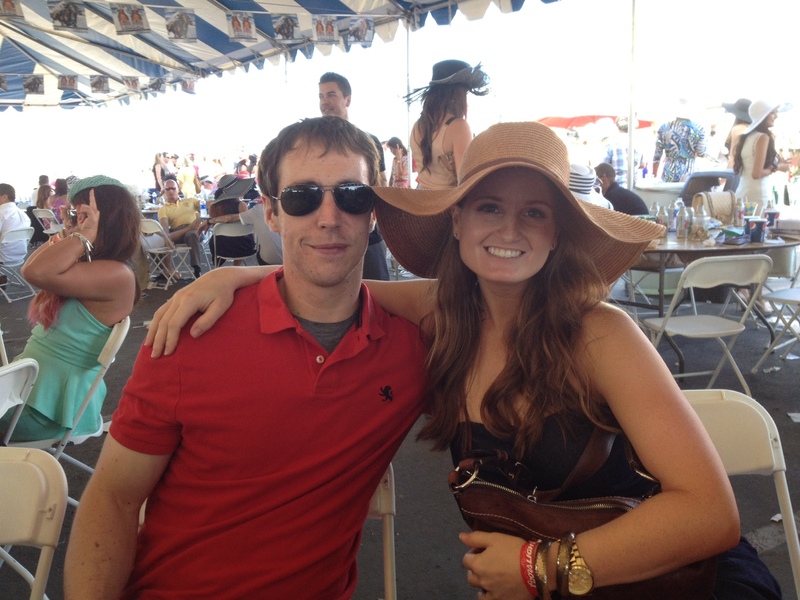 I’ve always wanted to go to the races… Glad you had a good time!